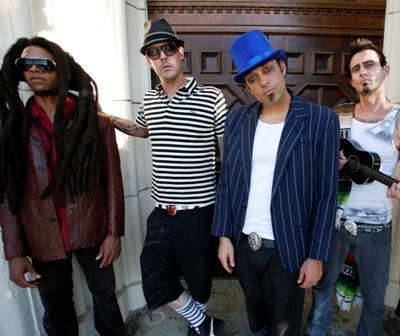 OPM was formed in 1998 when long time friends John E. Necro and Geoff and Mathew started writing songs together. Originally called STASH, the group recorded a three-song demo tape, which quickly garnered attention from major record labels. Shortly after completion of the demo, the group had inked a record deal with Atlantic Records. Before leaving for their first tour, the band changed their name to OPM, an acronym for “Other People’s Money,” a reference to a large vacation home the band was rehearsing in, paid for by Atlantic Records. They later modified the meaning to “Opening People’s Minds.” Upon returning from their first tour, OPM quickly entered the studio with Atlantic, recording their iconic debut, Menace To Sobriety. “Menace” was released by Atlantic Records in August of 2000, and spawned the groups hit single, “Heaven Is A Halfpipe.” Deemed the “skateboarders anthem,” the song was a huge success receiving heavy airplay on Los Angeles’ famous KROQ and across the nation. “Halfpipe” was a smash in the UK and Germany as well, charting heavily and winning the highly acclaimed UK Kerrang Award for Single Of The Year. The video for the song received heavy airplay on MTV in late 2000 and early 2001. In late 2001, after extensive touring behind “Menace,” founding member Mathew decided to quit the music biz. OPM continued on, replacing Mathew with Las Vegas rapper Bryan Mahoney, aka Big B. 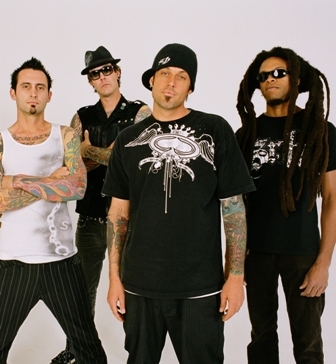 2002, the band inked a new record deal with independent label Suburban Noize Records. In June of 2004, OPM released their second full length record, ForThemAsses, and shortly after that, the Outlaws, Perverts & Misfits EP. The band continued to tour the globe extensively in support of their second release, traveling to all across North America, Europe and Japan. Upon returning home from tour, OPM produced Big B’s solo record High Class White Trash, after which he left the group as a permanent member to pursue a solo career. Once again, OPM continued on, this time with John E. Necro taking over as the sole front man. 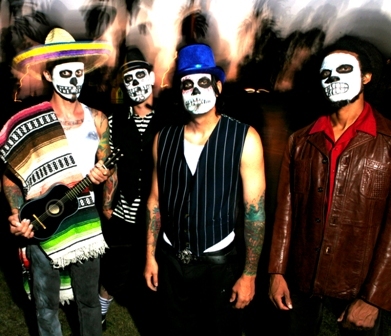 Over the next four years, the band released two more albums with Suburban Noize, 2006’s California Poppy and 2008’s Golden State Of Mind and an EP, 2007’s The OPMDEN. In 2010, the band decided to take some time off to enjoy family, and to pursue other endeavours, such as John E. Necro’s newly formed MNO Records & studio. In 2012, the band conjoined once again, to begin working on new music, and rehearsing for a forthcoming 13 Year Anniversary UK Tour, dubbed The Lucky 13 Tour. In late summer 2012, the band will be releasing an anniversary EP featuring re-recordings of classic songs, in celebration of their 13 years of existence, as well as the release of Runaway, a short film directed by John E. Necro for the OPM track of the same name. Over the last 13 years, OPM has shared the stage with Rancid, Limp Bizkit, Bloodhound Gang, Linkin Park, 311 and has performed on the mainstage of major festivals such as Reading, Leads, BBC Radio 1 Big Weekend, Rock AM Park, Open Air, and more. 2013 will see new music from OPM, as well as extensive touring, a few surprises, and as always, they will continue to live up to their name, opening people’s minds.